David Madras, a PhD student in the department of computer science, says there are important questions to be asked about the fairness of decisions made by automated systems (photo by Nina Haikara). University of Toronto PhD student David Madras says many of today’s algorithms are good at making accurate predictions, but don't know how to handle uncertainty well. If a badly calibrated algorithm makes the wrong decision, it’s usually very wrong. “A human user might understand a situation better than a computer, whether it’s information not available because it's very qualitative in nature, or something happening in the real world that didn't get inputted into the algorithm,” says Madras, a machine learning researcher in the department of computer science who is also affiliated with the Vector Institute for Artificial Intelligence. Madras is presenting his research, Predict Responsibly: Increasing Fairness by Learning to Defer, at the International Conference on Learning Representations (ICLR), in Vancouver this week.The conference is focused on the methods and performance of machine learning and brings together leaders in the field. Madras says he and Toniann Pitassi, a professor in U of T’s departments of computer science and mathematics and a computational theory expert who also explores computational fairness, as well as Richard Zemel, a U of T professor of computer science and research director of the Vector Institute, have developed their model with fairness in mind. Where there is a degree of uncertainty, an algorithm must have the option to answer, “I don’t know” and defer its decision to a human user. Madras explains if Facebook were to use an algorithm to automatically tag people in images, it's maybe not so important if the tagging is done wrong. But when individual outcomes are high-impact, the risk can be greater. He says the model hasn’t been applied yet to any specific application, but rather the researchers are thinking of the types of ways it could be used in real world cases. 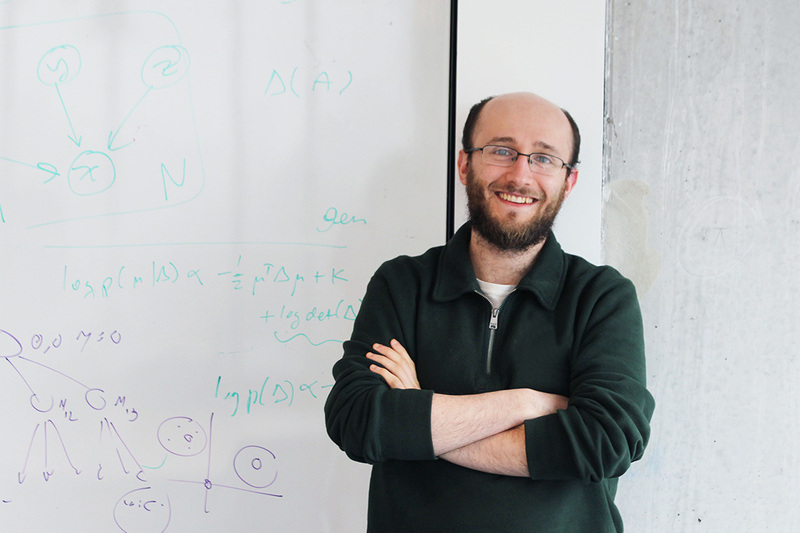 Madras’ graduate supervisor Zemel, who will take up an NSERC Industrial Research Chair in Machine Learning this summer, is also examining how machine learning can be made to be more expressive, controllable and fair. Zemel says machine learning based on historical data, such as whether a bank loan was approved or the length of prison sentences, will naturally pick up on biases. And the biases in the data set can play out in a machine’s predictions, he says. Madras believes the increased focus on algorithmic fairness alongside issues of privacy, security and safety, will help make machine learning more applicable to high-stakes applications. Madras says he’s continuing to think about issues of fairness and related areas, like causality: Two things can be correlated – because they occur together frequently – but that doesn't mean that one causes the other. “If an algorithm is deciding when to give someone a loan, it might learn that people who live in a certain postal code are less likely to pay back loans. But that can be a source of unfairness. It’s not like living in a certain postal code makes you less likely to pay back a loan,” he says. “It’s an interesting and important set of problems to be working on."